Pennsylvania is the 6th most populous U.S. state. Erie, Pittsburgh, Philadelphia, and Allentown are some of the prominent cities in the state. The state offers a number of opportunities for higher education, allowing students with diverse backgrounds to pursue their educational and professional goals. The colleges and universities in the state offer degrees and certificates in a range of fields including engineering, nursing, education, engineering and more. Licensed practical nurses (LPNs) programs are also offered in the state of Pennsylvania. LPNs work under registered nurses (RNs) and provide basic health care services to patients and the injured. They also monitor patients’ health, report patients’ status to RNs and keep medical records. A prospective nurse in Pennsylvania should consider whether he or she wants to be an LPN or RN. RNs provide basic nursing facilities to patients while LPNs assist them. There are a number of nursing schools in Pennsylvania that offer LPN programs geared to equip students with the skills and knowledge essential to applying for LPN positions. 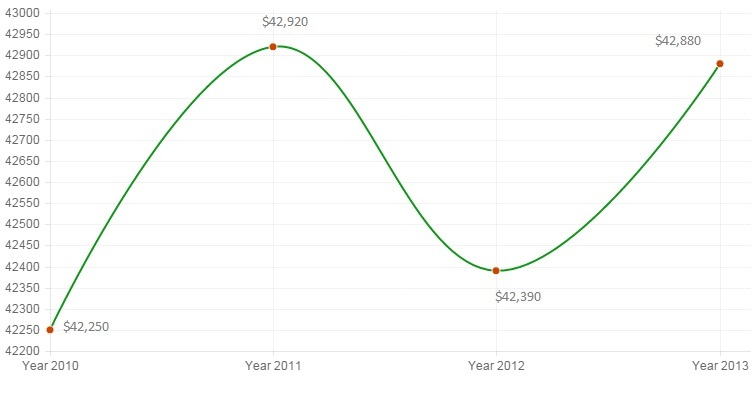 The LPN salary in PA increased by 1% from 2010 to 2013. Employment levels for the LPNs have dropped by 3% in PA for the past 4 years. 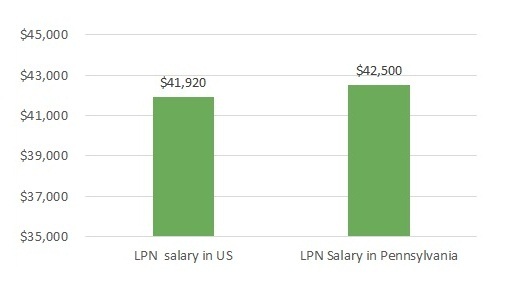 In 2013, LPNs earned a median annual income of $42,500 in PA or $20.45 per hour. The national median income of LPNs in 2013 was $41,920 or $20.15 per hour.